I was finishing up my Civ V: Brave New World strategies this fall, and thought that I'd finally have some time to play other games besides Civilization. Firaxis and 2K, however, had other plans. Instead of being able to play other Steam games and getting back to my PS3, instead, I now have Civ in SPACE! So is Beyond Earth going to hold my attention, keep me up till 3 in the morning playing "one more turn", and monopolize my PC gaming? 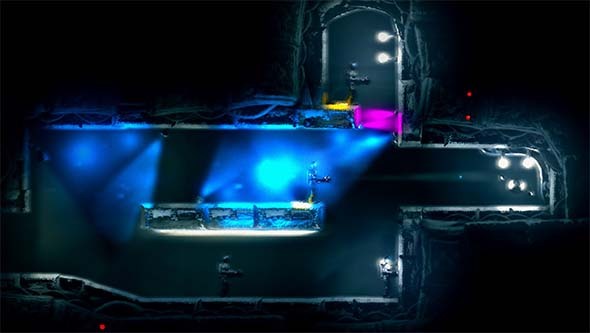 Or will it be a short diversion before being shelved in favor of other games? Civilization V ... 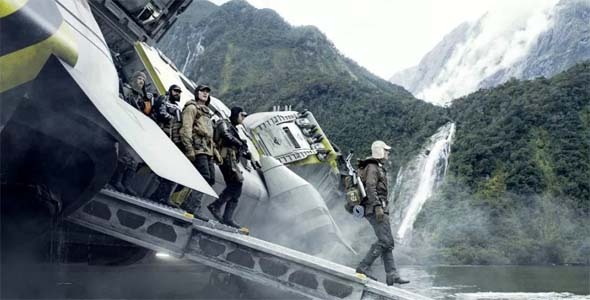 IN SPACE! 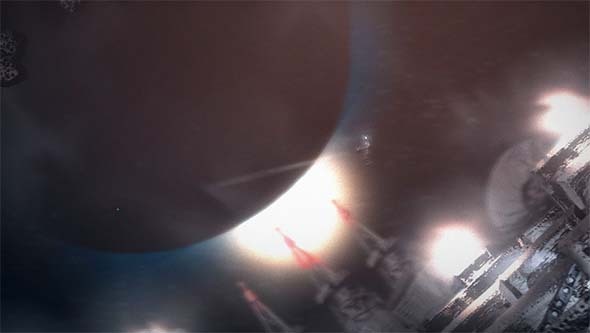 More of a "builder's game"
Most of the gameplay mechanics of Beyond Earth are variations of equivalent mechanics in Civilization V, with more or less complexity. 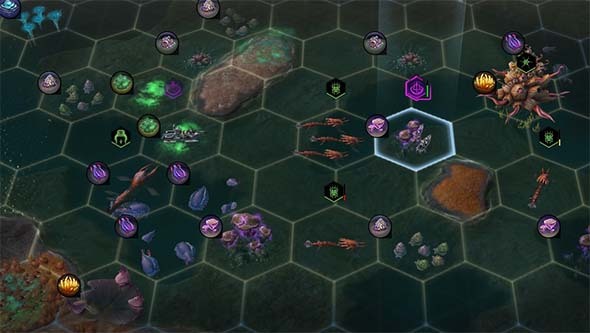 This makes the game very accessible and familiar for most Civ players, but it also means that Beyond Earth isn't really pushing any gameplay boundaries. 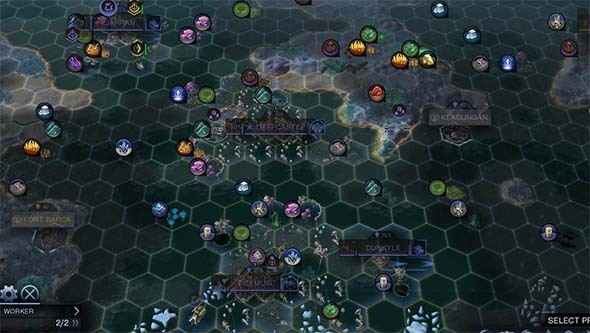 Whereas Civ V's transition to a hex grid revolutionized the series, Beyond Earth just feels like more of the same. 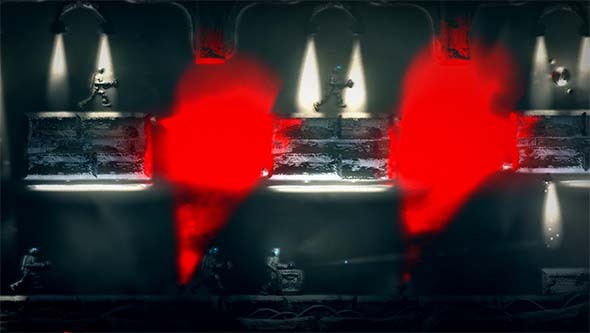 Most of the added complexity works in the game's favor, but some mechanics have been simplified such that they almost feel pointless. 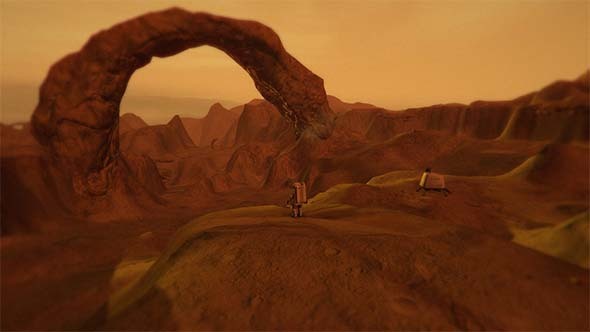 Beyond Earth's extraterrestrial setting does play a small factor in the gameplay and differentiates this game a bit from Civilization V. The most prominent displays of this are in the alien life forms and the terrain of the map. The inclusions of canyons as a geography characteristic is mostly superficial, as they function almost identically to mountains. The biggest change is the inclusion of toxic "miasma". 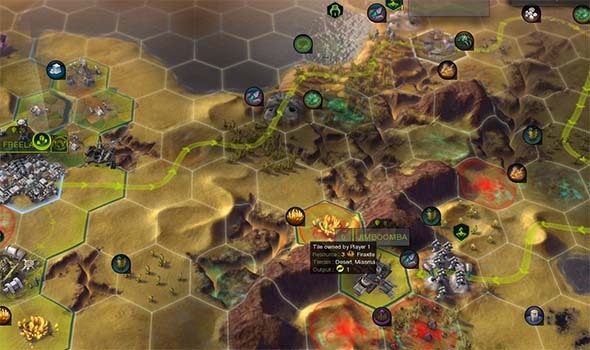 Miasma tiles cause damage to units that end their turn on it, and trade units cannot pass through miasma at all. 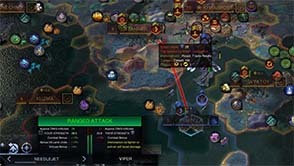 Miasma damages units and blocks trade routes until you unlock the ability to remove it or survive it. 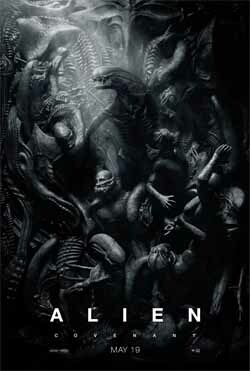 This adds a satisfying challenge and sense of having to deal with a hostile alien environment. 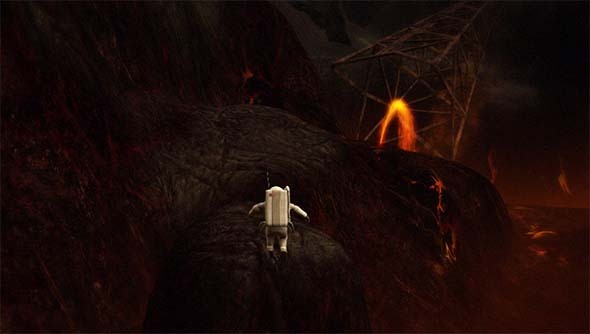 This adds some challenge to the first half of the game, since miasma can force the player to explore and expand differently than they would in Civ V. Miasma can force your workers to have to avoid improving certain terrain, and may prevent explorers from accessing certain regions of the map or completing some expedition sites. 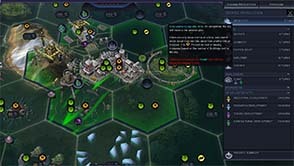 It can also prevent your trade units from following direct routes between cities, which can cause them to follow winding paths far outside your inherent zone of control, making them harder to protect.